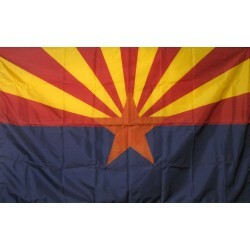 Theses American made state flags feature UV resistant nylon. 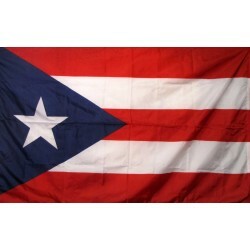 They are made of the longest-lasting nylon material available for the best in durability and color retention. 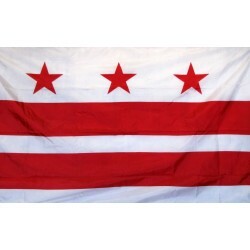 They can be used either indoors or outdoors to display or patriotic pride. • Durable nylon material for extended use• Specially treated nylon for fade-resistance will keep col..
• Durable nylon material for extended use• Specially treated nylon for fade-resistance will kee.. 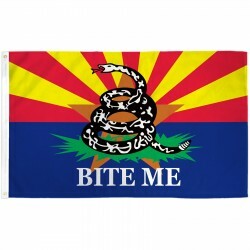 This Arizona Bite Me Custom 3' x 5' Pro SB 1070 Flag is made of 150 denier polyester. Show those fol.. This Arizona Don't Tread On Me Custom 3' x 5' Pro SB 1070 Political Flag is made of 150 denier polye.. 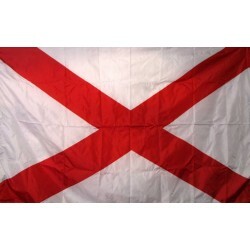 The flag of Alabama is a reminder of the Battle Flag used during the Civil War. 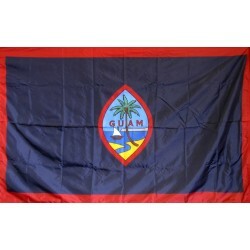 The current flag was.. 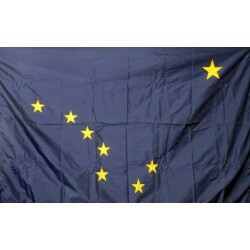 In 1927 the competition to design a flag for Alaska was won by 13-year-old Benny Benson who got his ..
Arizona was entered into the United States in 1848, after the Mexican War, but did not have a flag u.. 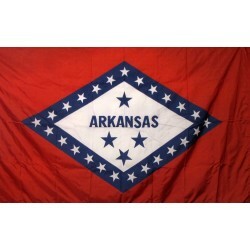 The flag of Arkansas is also a reminder of the Battle Flag with its blue diagonals and white stars a.. 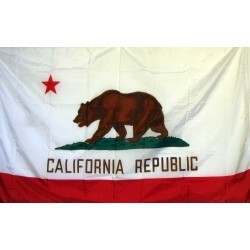 The current flag of California is meant to be a recreation of the original Californian flag that was.. 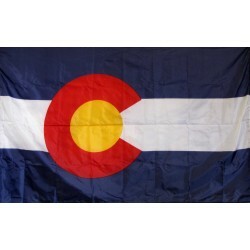 When Colorado entered the Union in 1876 it was known as the Centennial State or the Columbine State,.. 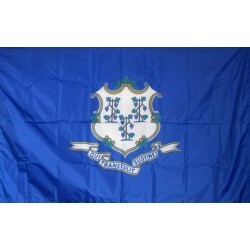 The Connecticut flag, which is among one of the most ancient flags, was originally used during the R.. 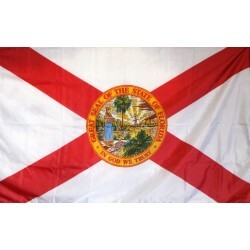 The 1777 coat of arms on the Delaware flag consists of a soldier and a farmer supporting a shield wi..
Florida created a new state seal after it seceded from the Union in 1861, and made final modificatio.. 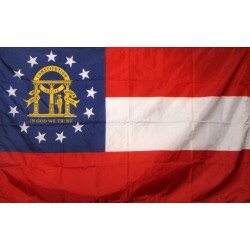 Adopted in 2001, the new Georgia state flag is the most recent of all the fifty states. A yellow rib.. 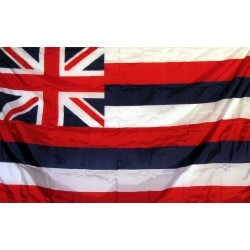 The Union Jack was Hawaii's flag until 1816 when Hawaii was under British protection. The Union Jack.. 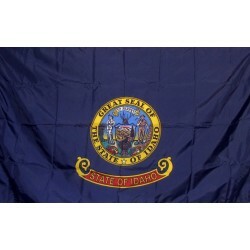 The state seal that appears on the Idaho state flag was designed by Miss Emma Edwards in 1891. The s.. 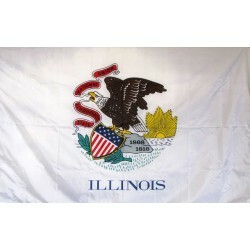 In 1915 the Daughters of the American Revolution were instrumental in organizing a competition for t..
Indiana officially has two state flags, because after law adopted the new flag in 1955, the law of 1.. 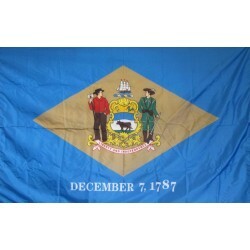 The Daughters of the American Revolution organized another state flag contest won by DAR member Dixi.. 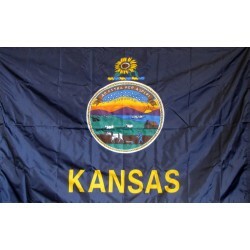 The Kansas state flag shows the state seal, which shows a rising sun, and the 34 stars symbolize the.. 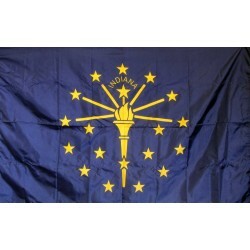 The Kentucky state flag shows a simplified version of the state seal depicting "two friends embracin.. 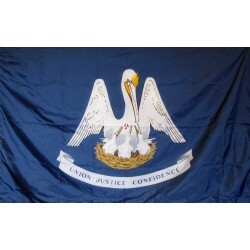 In 1912, one hundred years after attaining state status, the legislature of Louisiana adopted its of.. 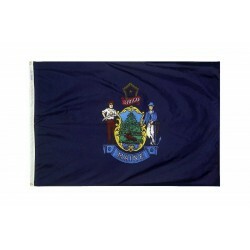 Although a second Maine state flag was adopted in 1901, this flag is rarely seen. 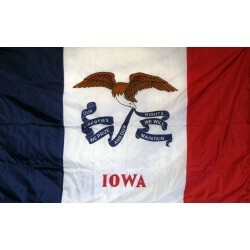 This flag shows a .. 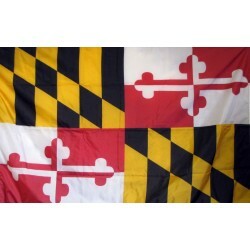 The Maryland state flag is complex design borrowed from the first Lord Baltimore's, George Calvert, .. 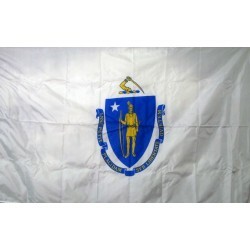 The Massachusetts flag has a blue, gold and white design on a white field. 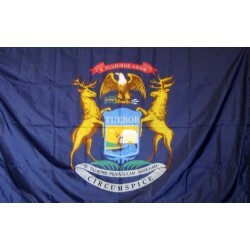 The state seal appears in..
Michigan's third and current flag was adopted in 1911. It consists of the state seal on a blue field.. 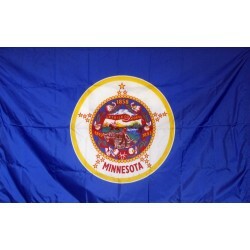 The present Minnesota flag was designed in 1957, and has the state seal on a blue field. The Lady Sl.. 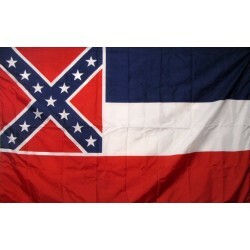 The Mississippi state flag was adopted in 1894 and remains one of the most controversial flags in th.. 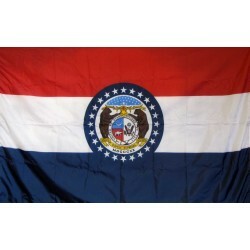 The Missouri state flag is another Daughter of the American Revolution designed flag consisting of t.. 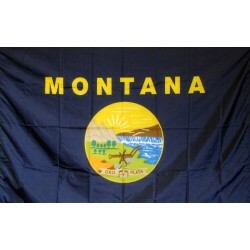 The Montana state flag was adopted in 1905, and features the state seal centered in a blue field wit.. 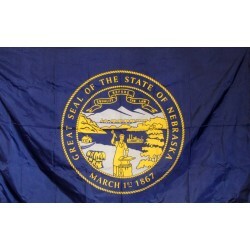 The Nebraska state flag consists of the state seal on a blue field. In the seal a train runs in the ..